This was our first in 3 years where we hadn’t planned in advance and of course…. It was a disaster. To be honest I think it is Kuala Besut which was the disaster and we just caught an unlucky break. Arriving to Kuala Besut at 16:00 from the Cameron Highlands we are dropped direct to the pier (or at least one of them) and are quickly warned “stay here, the last boat is leaving, don’t leave the area”. We had no intention on actually travelling to the Perhentian Islands but I quiz him anyway curious of cheap stays. The tour guy phones a couple of hotels and concludes everywhere is fully booked on the island; other than one room at 350RM per night which was stupid prices for a rundown bungalow. We decline and follow our original plan of travelling inland to Lake Kenyir. We go to leave the office as our fellow minivan passengers book their boat tickets, signing names etc. Seeing us leave the same guy shouts over “Come you have to write your name…” – “Why do I have to write my name?” – “For the trip.” – “What you mean? The bus I arrived on?” – “No the boat to the Perhenthian islands” – “But I’m not going to the “Perhentian Islands… plus you said the hotels are fully booked?” – “It’s okay the tickets are open ended” – “No thanks”. As we head out the door to explore Kuala Besut he jostles over and whispers in my ear “Come to me when you do. Don’t talk to other people. I give you special price…” – “sure will do.”. Of course we never go back. So the plan was on staying at Lake Kenyir but these plans were quickly scuppered with taxis in Kuala Besut charging 180RM one way while friendly locals say it should be around 100RM for the trip. 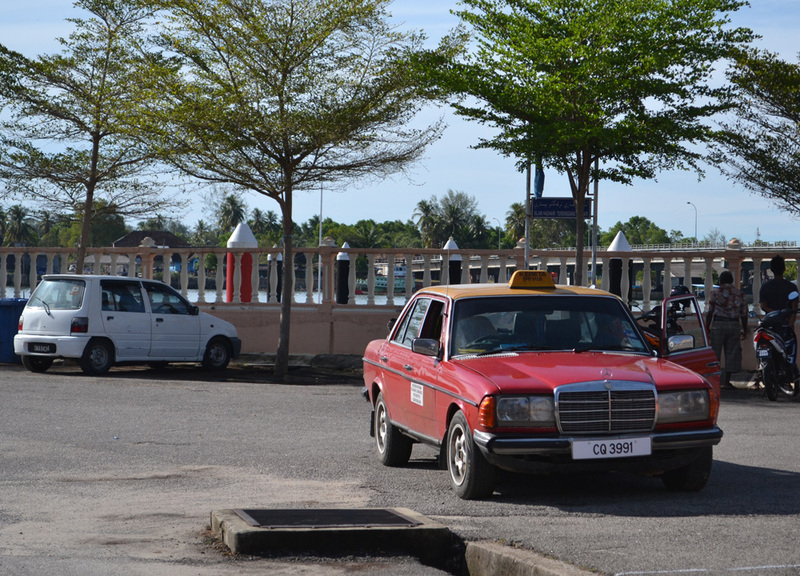 After persistent hard sell from the Kuala Besut taxi drivers we give up on Lake Kenyir. We concede to our fate and opt for a night in Kuala Besut. We call for a room at the central T Lodge. “Sorry no rooms” – “Would it be okay to use your wifi” – “No…” – “Do you Know where we can find wifi?” -“No….” Back to the streets, dragging luggage, in search of wifi. You’ll find little in Kuala Besut bar tour operators, trinket shops, some nice(ish) looking shop-house restaurants and the occasional nice person. Back to Kuala Besut centre we meet again with the group from the minibus now being led by the same “no hotel guy” from Kuala Besut pier. From what I could make out he was handing them over to the nearby Nan Hotel for his commission cut. He spots us on passing “Remember, if you travel to the Perhenthians you have to come to me”…. So we find a restaurant with wifi, we order snacks and search for a Kuala Besut hotel. The waitress joins to offer help “I get you special price hotel, boat tickets?” – “No thanks we’re sorting it online” – “But I give you special price?” – “Sorry no cash we have to pay online” – “Don’t worry I will speak to them they will take credit card”… She starts poking our iPad screen and trying to delete and type in the browser. Surprising Fanfan didn’t crack at this point. On Agoda we see that T Lodge, the hotel we tried previously, now have 3 or 4 rooms available. While we’d normally book online this meant fending off the screen poking waitress so we instead rush to the hotel before the rooms were taken. “Hi, there’s rooms available now?” – “No rooms” – “But there’s a few listed on Agoda?” – “We don’t work with Agoda…” – “What? You should probably tell Agoda that?”…. Shambolic. So Fanfan is pissed and we contemplate fleeing Kuala Besut with the overnight bus to Penang (leaves 10pm). In a last ditch effort I sneak back to the restaurant, hiding round the corner to steal wifi on the iPad. 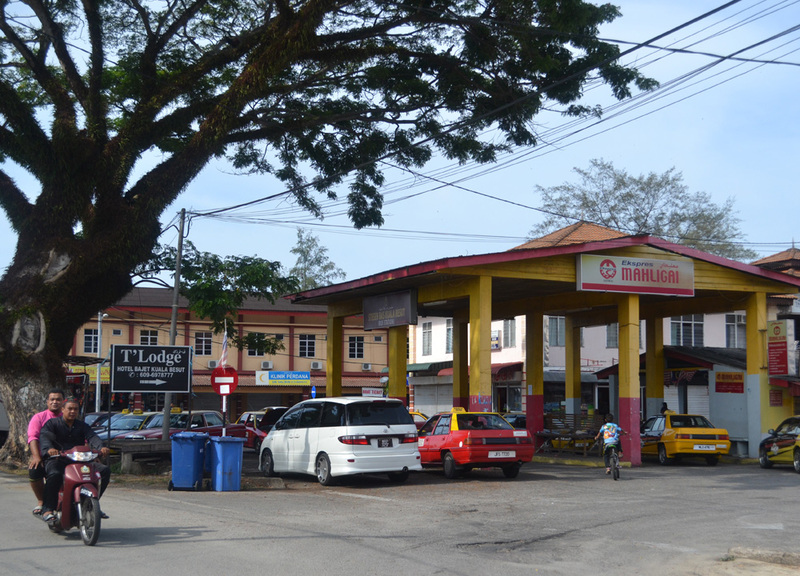 The Kuala Besut Taxi drivers still shouting “150RM we go??”. I search Agoda for the surrounding area and we of course find a bunch of hotels on the Perhentian Islands… If only we hadn’t missed the last boat. 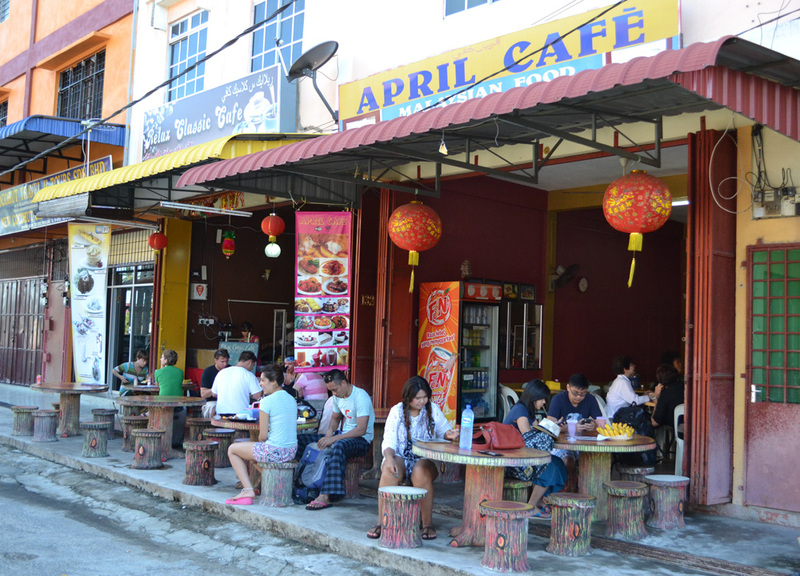 (Note, for our return journey we use April Cafe; free wifi, cheap tasty food, near the pier, friendly, recommended). Now, with the miraculous appearance of available hotel rooms, we check our options for the following day. 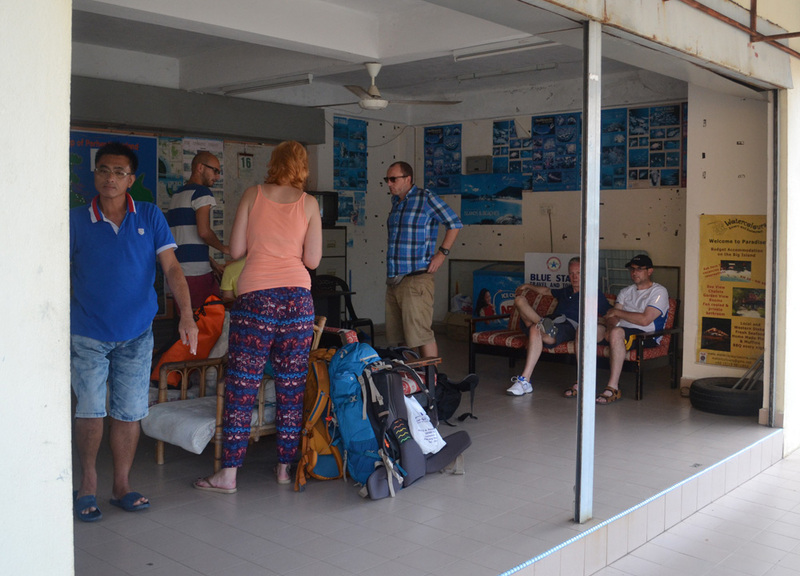 At Kuala Besut’s central tour offices we find a friendly face “What time’s the first boat tomorrow, we missed them today?” – “Missed them? There’s one leaving now and the next after that is 17:30pm…”. Yes, the jackass from earlier had lied about pretty much everything. 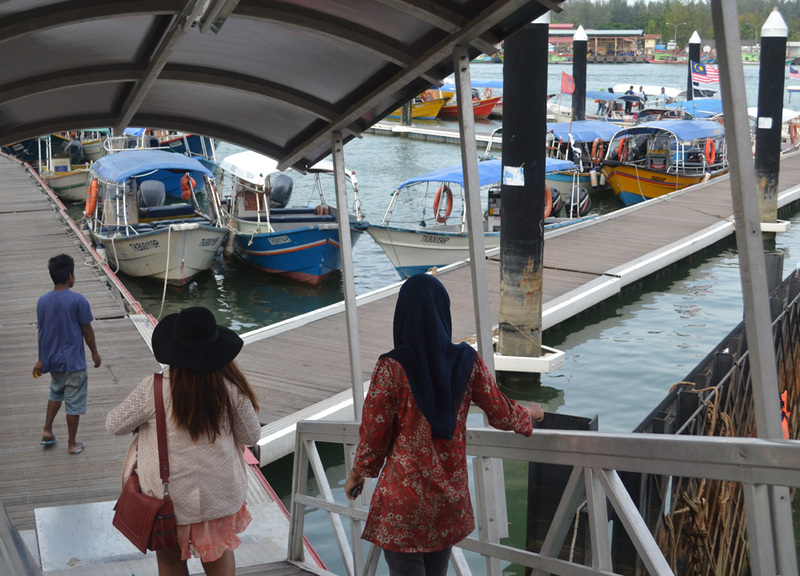 In fact the pier which we were dropped at didn’t appear to be the actual Kuala Besut Pier. 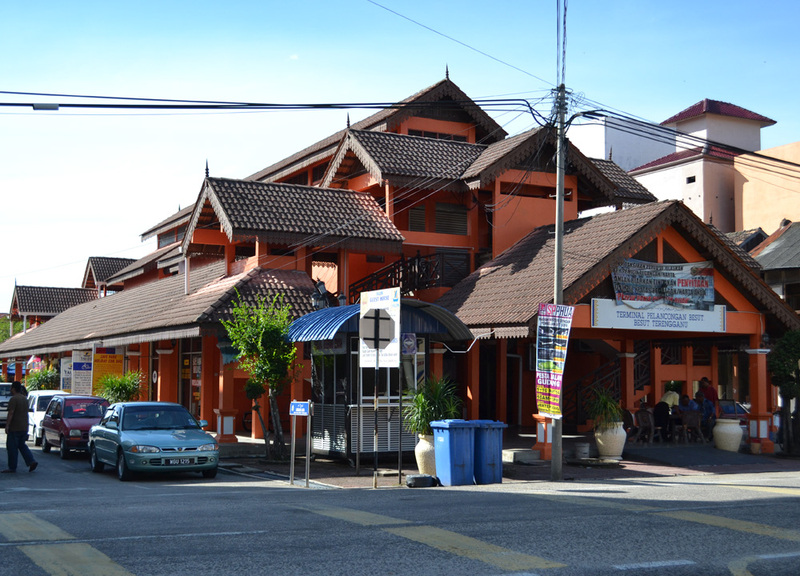 So now we are in need of a hotel booking, “Do you have wifi, we need to book our hotels online?” – “Sorry no wifi but you can use my computer if you want…” – “Kuala Besut needs more people like you…”. We book our hotel online and book our return boat tickets through the tour office (60RM). 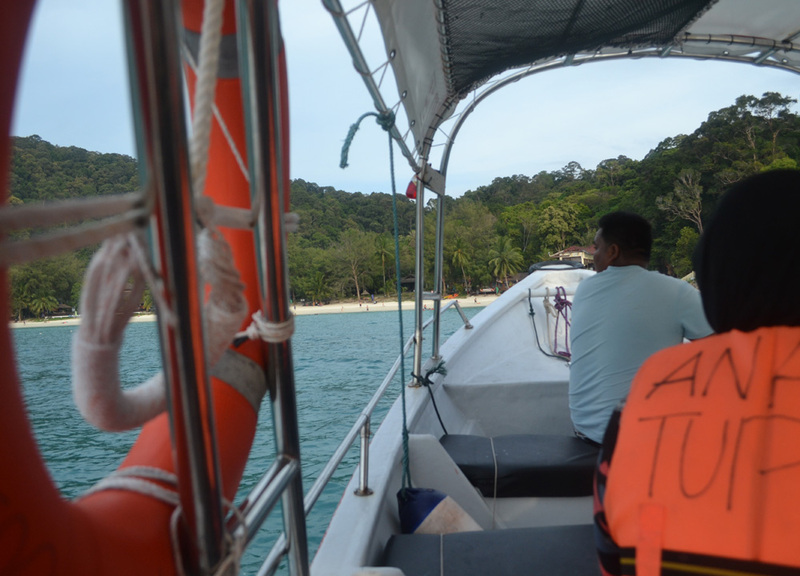 We arrive to the Perhentian Islands before sunset (Perhentian Besar). Unfortunately we do pay over the odds with the hotel and for one of the lesser rooms. This is why I say… book in advance. We stay the first nights in the swank Perhentian Island Resort then search the big island for budget accommodation. We move to the budget Coral View Island Resort. Both recommended. I love the spirit of your blog “Live Less Ordinary”. I wanna get away from the nine to five life, but it seems that I can’t. I’m so excited about my upcoming trip to Perhentians. Thanks so much for your sharing and keep moving!